The book combines scholars from media studies, cultural studies, comparative literature, political theory and sociology. Each author contemplates the critical effectiveness of political comedy after the recession. 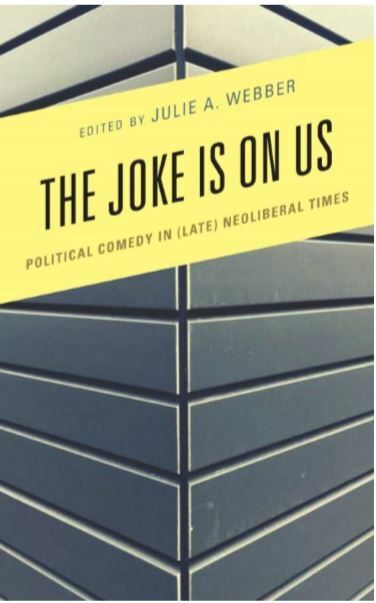 Its subtitle and objective is to assess what happens when political comedy confronts neoliberalism. The book features contributions by James Brasset, Marc-Olivier Castagner, Secil Dagtas, Jessyka Finley, Viveca Greene, David Grondin, Rebecca Krefting, Thomas Lawson, Sophia McClennon (formerly of ISU Comp Lit. ), Aaron McKain, Diane Rubenstein, Don Waisenen, and Simon Weaver. Webber’s contribution looks at “alt-right” humor after the 2016 presidential election. 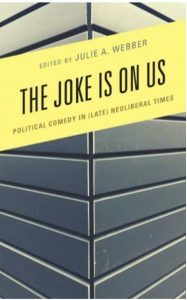 Most of the essays confront the role of humor in popular culture after the global recession of 2008 with essays on youth, media and entertainment, Turkey, stand-up, the alt-right, Brexit, and horror-comedy.